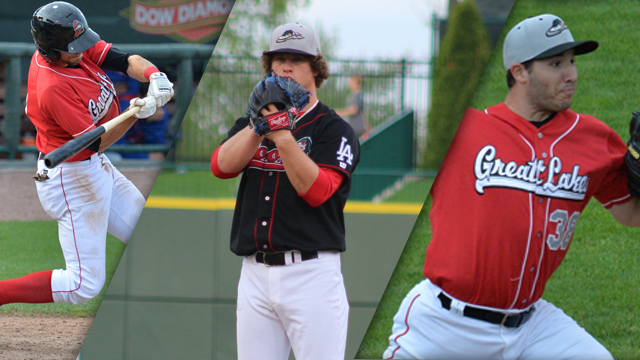 MIDLAND, Mich. - The Great Lakes Loons are proud to announce three members of this year's team have been named to the 2015 Midwest League All-Star Team. Infielder Michael Ahmed, starting pitcher Grant Holmes and relief pitcher J.D. Underwood were elected to the Eastern All-Star roster by the league. The 2015 Midwest League All-Star Classic is June 23, 2015 at Dozer Park, Peoria, Illinois. Ahmed has played in 48 games this year for Great Lakes, hitting .253 and driving in 12 runs on 47 hits. 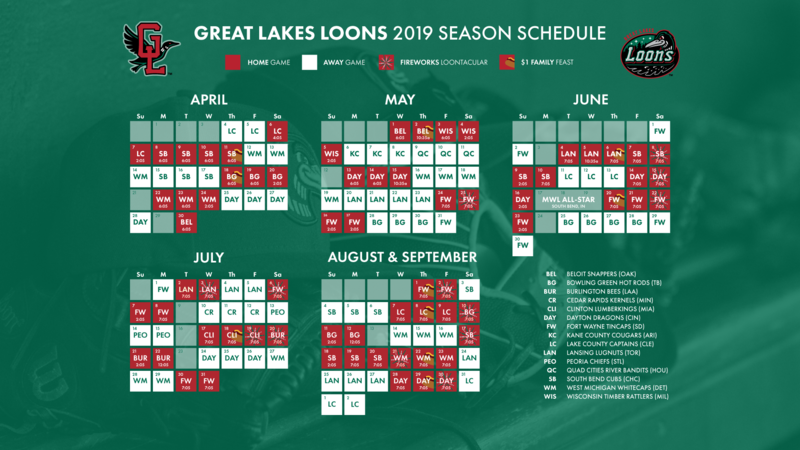 The utility infielder leads the Loons in stolen bases with 17, more than twice as many as any other player on the team. Holmes is the Dodgers' No. 4 prospect and has posted a record of 3-0 and a sparkling earned run average of 3.22 during 44.2 innings pitched. Holmes has the third-most strikeouts of any Midwest League pitcher with 58. The right-handed pitcher and Conway, S.C. native was drafted in the 1st round of the 2014 MLB Draft by the Los Angeles Dodgers. Underwood has been stifling out of the Loos bullpen in 2015. The right-handed reliever is 2-0 this season with an impressive 2.25 earned run average. Underwood was drafted in the 5th round of the 2013 draft by the Los Angeles Dodgers.